Grab your tackle box, launch the bass boat and LET'S GO! Rapala Pro Fishing sets the standard for all fishing games. Never before has a fishing game brought you all this: authentic Rapala fishing gear, guided fishing trips with Rapala's Pro Staff and a BOATLOAD OF ACTION! 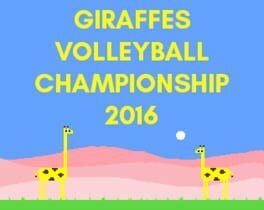 Time to set the hook and land that TROPHY of a lifetime! 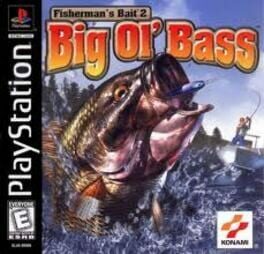 Part of the Black Bass series of fishing games by Starfish, and their third title for the SNES. 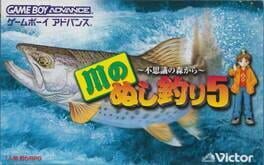 Unlike the previous two Super Black Bass games, however, this one was not released outside of Japan. You are out on the lake, and everything is quiet. Suddenly, a fish hits your lure. The fish pulls the line while you fight it, trying to reel it in. It dives deep and flies out of the water; you give the line some slack, and then reel it in. Eventually, the fish loses this fight. You can have this kind of excitement with ZEBCO FISHING! for the Game Boy Color. Hit one of two lakes with a choice of 11 different fishing lures. Try to catch the biggest bass possible in the Tournament mode, and for an extra challenge, try to catch exactly 21 pounds of bass in the Blackjack Bass mode. In both modes, catching fish other than bass has no effect on the outcome. 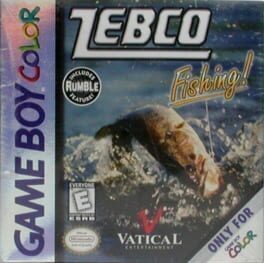 Try to become a fishing champion with ZEBCO FISHING! Kawa no Nushi Tsuri 5 is the final numbered entry in the Kawa no Nushi Tsuri (Legend of the River King) series. 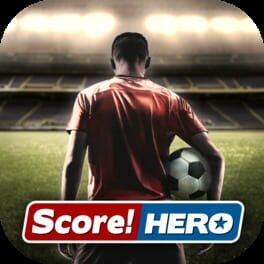 You can perfect your technique in free fishing. 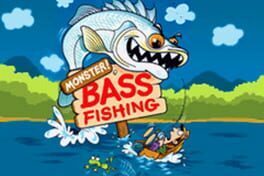 Then use these skills to compete to be the number one Bass Fisherman and land that Monster Bass Fishing. You can also store your best six catches in the aquarium for later viewing. 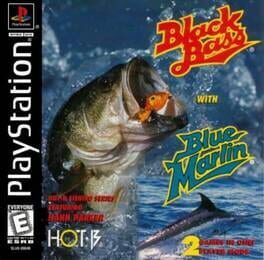 BLACK BASS WITH BLUE MARLIN brings the joys of the lake and the sea to the PlayStation. You won't miss a second of the action with a wide variety of camera angles. 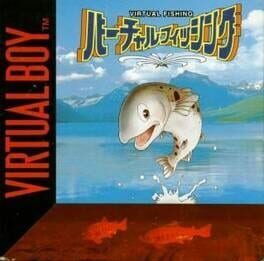 For those who want an arcade feel, choose the underwater camera and watch that fish fight; the above-water view provides a simulation experience, where the fish is unknown until it is brought in. Don't worry, bringing in the fish is not going to be a problem with the large number of spots to drop a line. Naturally, dropping the line is not going to be enough; you'll have to choose lures wisely and use the proper technique if you want to catch anything. If you're not having any luck, get advice about your technique from legendary angler, Hank Parker. With all of the options and a large number of fishing spots, BLACK BASS WITH BLUE MARLIN has something for every aspiring angler. Gamers head off to tranquil lakes and sandy beaches in an effort to wrangle more than 40 different kinds of fish in Reel Fishing: Angler's Dream. The game takes advantage of the Wii's motion-sensitive controls to let players cast and reel just as they would in real life, and each of the 40 fish species fights and flees like its real-world counterpart. When gamers are satisfied with their catch they can head back to the lodge, where the Fishing Master doles out expert advice and showcases the new equipment players have earned. Angler's Dream also strays into life development sim territory, because the lodge includes a number of aquariums where gamers can care for and rear their most prized catches. The ultimate goal for solo players is to track down the rare and elusive Legendary Fish, but those looking for multiplayer action can join up to three friends in the competitive "Versus" mode. 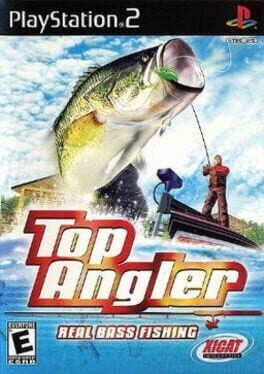 Top Angler: Real Bass Fishing (リアルバスフィッシング トップアングラー?) 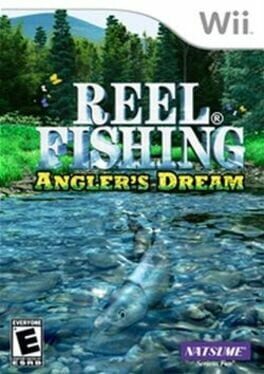 is a fishing video game developed by SIMS. 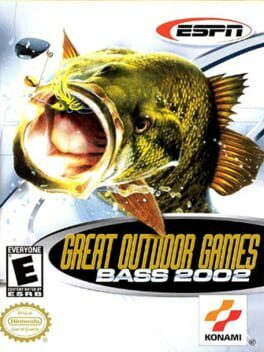 With crystal-clear graphics, sound effects as clear as an Alpine stream and excellent play control, ESPN Great Outdoor Games: Bass Fishing is sure to knock your warders off! In Free Fishing Mode, drop a line into any of the 30 ponds and lakes that dot the tranquil landscape. Cast your skills against the world's top anglers in Tournament mode. 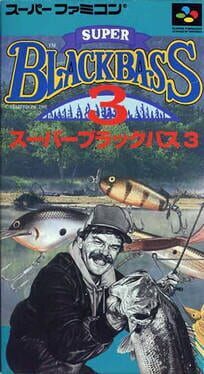 In this mode, you'll race to see who can land the five biggest fish of a given variety, including bluegills and many types of bass. After picking from 15 unique lures, a power meter indicates the strength of your cast. You can reel in or play out line. Successful anglers will continually monitor the water depth and temperature and the time of day. The atmospheric soundtrack includes chirping birds, softly lapping water and cheery banjo plucking. 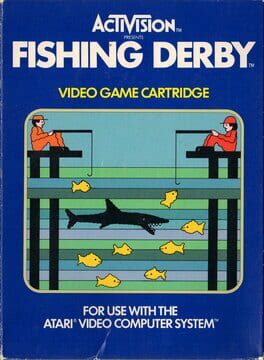 In Fishing Derby, two fishermen sit on opposite docks over a lake filled with fish (and a shark that passes through). Using the joystick the player is able to move his line left right and up and down in the water. When a fish is hooked, the line slowly comes up to the surface of the water. Pressing the fire button on the joystick reels in the fish faster. However, if both fishermen have fish hooked, only one person can reel theirs in (the one who hooked theirs first). The shark that roams the water will try to eat hooked fish before they surface. The objective for both fishermen is to reach 99 pounds of fish first. There are six rows of fish; the top two rows have 2 lb. fish, the middle two rows have 4 lb. fish, and the two bottom rows have 6 lb. fish. The more valuable fish sit at the bottom, but they are harder to bring in as they run a higher risk of being eaten by the shark. The game's two variants are simply single player and multi-player. 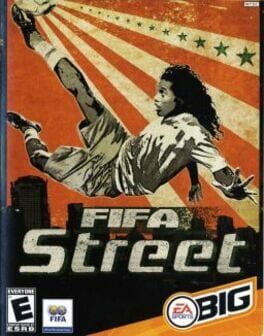 In both games the objective is to reach 99 lb. of fish first. 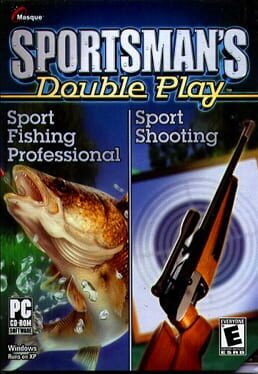 Sportsman's Double Play is a sport shooting and fishing game released in 2006 by Masque Publishing. 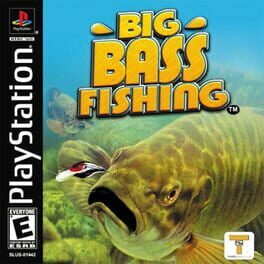 Featuring more than fifteen different kinds of fish, twenty different fishing holes and lots of different lures, Fisherman's Bait 2: Big Ol' Bass is the PlayStation version of the popular Arcade game. Like the Little Max character from Mike Tyson's Punch Out, you are a transparent fisherman. You can go from "fishin' hole" to "fishin' hole" according to your preference. All of the spots are different in their variety of species. You also get to pick your own lure, ranging from poppers and worms to jerk bait. All lures produce different results, so choose wisely. 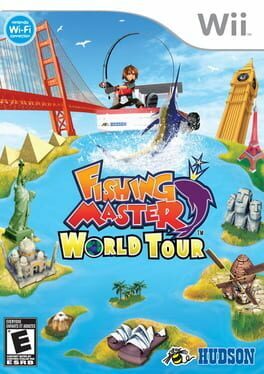 Choices for play include: the Beginner mode, where you are given a tutorial during which you're taught the rules of the game; Free Fishing mode, where you can just catch fish at your leisure; Tournament mode, where you must qualify at each of the three lakes to get to the main event; Versus Play, where you compete against another player; and World Monsters mode, where you fish for monster-sized fish through fake environments. Big Ol' Bass supports vibration feedback, analog control, one block of memory and the SLUH-00063 special controller.